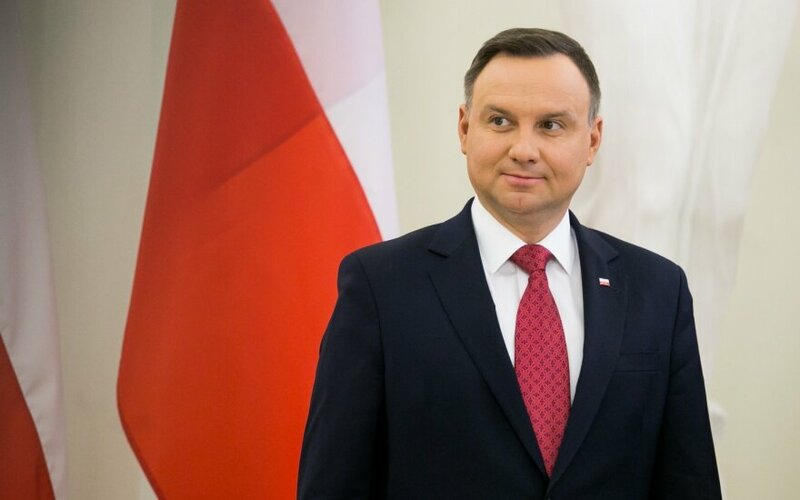 Local Poles and analysts expect a breakthrough in relations between Vilnius and Warsaw after Polish President Andrzej Duda's three-day visit to Lithuania last week. Duda met with members of the local Polish community and with President Dalia Grybauskaitė, and attended Lithuania's centennial celebrations. Analysts say that a decision to re-establish a Lithuania-Poland education commission, made during the meeting between the presidents, and Grybauskaite's promise to support Poland in its dispute with the European Commission will provide fresh momentum to improving ties between the two neighboring countries. "Judging from the results, from what the presidents said and from what they agreed on, we may say that a certain breakthrough has been achieved after reaching agreement on the most difficult political issues," Marijuš Antonovič, a lecturer at Vilnius University's Institute of International Relations and Political Science and a member of the Polish Discussion Club, told BNS on Monday. Around 200,000 ethnic Poles live in Lithuania. Poland had frozen top-level visits to Lithuania for the past five years, accusing Vilnius over the situation of the Polish ethnic minority. Warsaw's complaints mostly centered on Poles' education in Lithuania and legislation that prevents the Lithuanian citizens of Polish nationality from spelling their names and surnames in the original form in their identification documents. However, the bilateral relations have been warming up in the past year. Marek Kuchcinski, the Marshal of the Sejm, the lower house of the Polish parliament, visited Lithuania last September and Polish Prime Minister Mateusz Morawiecki is expected to visit Vilnius in March. Kęstutis Girnius, associate professor at Vilnius University's International Relations and Political Science Institute, says that Lithuanian Prime Minister Saulius Skvernelis was the first to take the initiative to resume top-level political ties with Warsaw. Skvernelis met with Jaroslaw Kaczynski back in the fall of 2016, when general elections in Lithuania were still ongoing, and held a second meeting with the leader of Poland's ruling Law and Justice Party last September. "The (Lithuanian) president remained silent for five years, even though she is the foreign policy boss," Girnius told BNS. Analysts say that Poland's more favorable attitude toward Lithuania could be due to its search for new allies after the souring of its relations with Europe's key capitals -- Brussels, Paris and Berlin. EU member states may have to decide this year whether or not to impose sanctions on Poland over its judicial reform. The Lithuanian president said after meeting with her Polish counterpart last Saturday that Vilnius "will invite both sides to agree" and that it "will not support any coercion or any methods of power against any country". A major boost to Lithuania's bilateral relations with Poland was given after the state railway company Lietuvos Geležinkeliai (Lithuanian Railways) and Orlen Lietuva, the Lithuanian unit of Poland's Orlen that owns the Mažeikiai crude refinery, last June signed a deal on oil product transport tariffs, ending a dispute over Poland's investments in Lithuania that had lasted for years. Grybauskaitė and Duda said last week that they expected the three Baltic countries, Poland and the European Commission to reach in June an agreement on the Baltic power grids' synchronization with the Western European system. Lithuania also seeks Poland's support in pressing Belarus over the Astravyets nuclear power plant under construction some 50 kilometers from Vilnius.